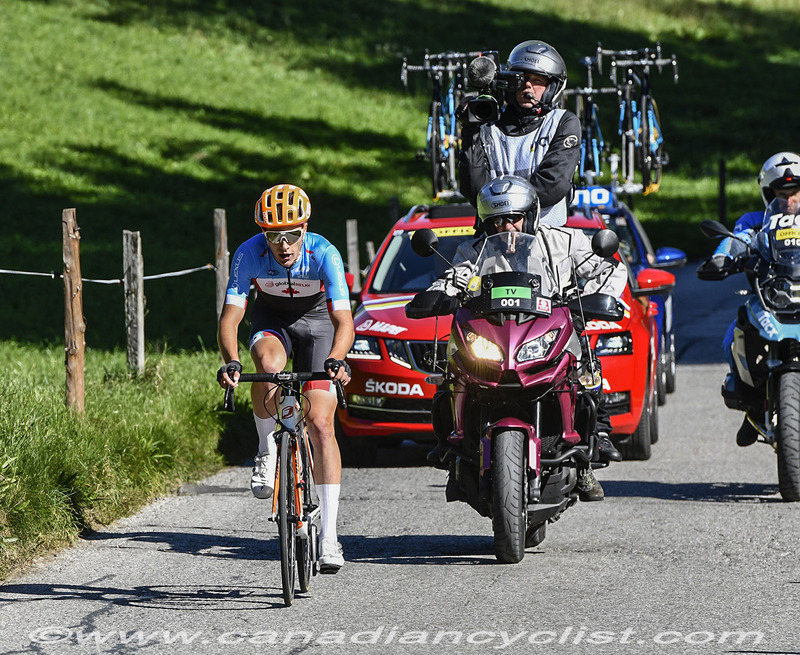 Team Canada's Nick Zukowsky led the Under-23 men's road race at the world championships in Innsbruck, Austria, for over 80 kilometres on Friday, before being caught. Charles-Etienne Chretien was Canada's only finisher, in 85th place. Marc Hirschi of Switzerland won the title with a solo breakaway on the final descent. "It was a crazy hard race and it was nervous at the start," said Zukowsky. " Went up the road chasing what I thought was a bigger group. Once I got there, I knew I would have to be conservative for the circuit. Over all, it was a very hard race from start to finish. I felt good but it was a very high level today." 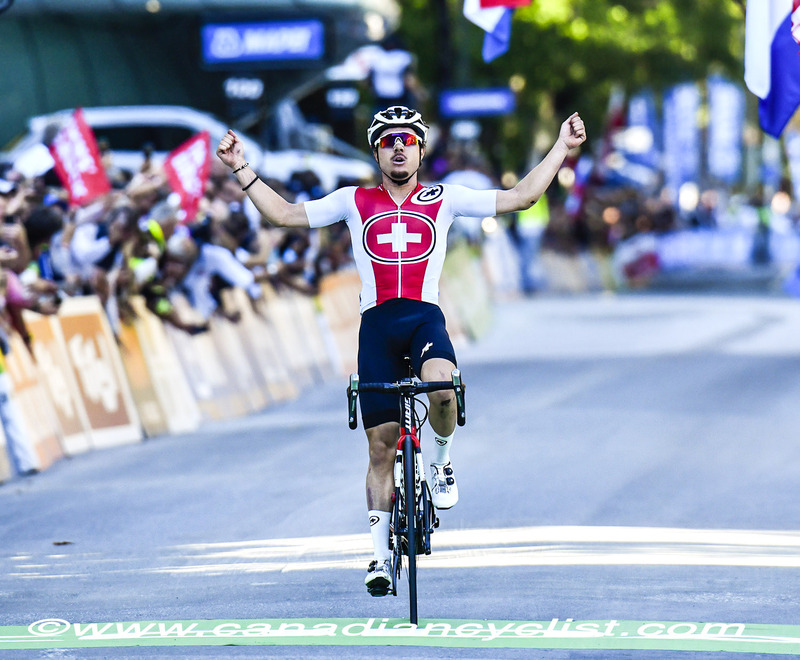 Hirschi became the first Swiss World Champion in the U23 Road Race as he soloed to victory in the final descent with 10km to go, with a decisive attack. Taking chances through the corners that fellow breakaway members Bjorg Lambrecht (Belgium) and Jaakko Hänninen (Finland) wouldn't, he reached the bottom with a 10 second gap and six kilometres to go. Lambrecht brought it down to five seconds with two kilometres to go, but ran out of gas, and Hänninen couldn't contribute to the chase. 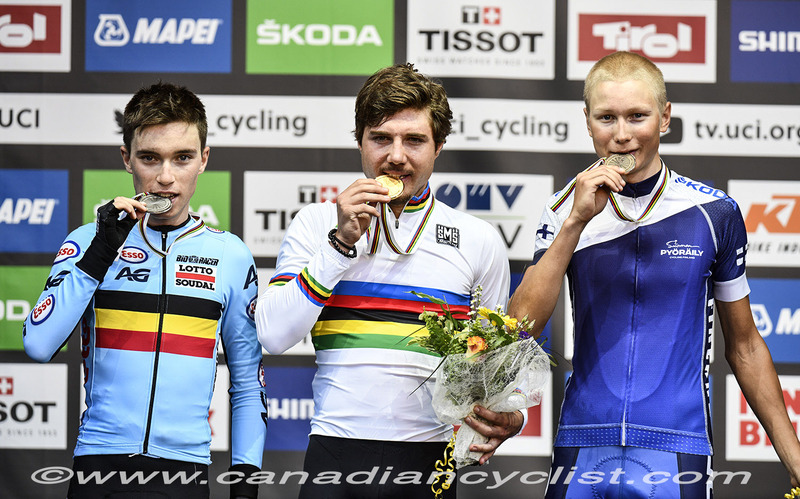 Lambrecht and Hänninen sprinted home for silver and bronze medals 15 seconds later. Hirschi will join WorldTour Team Sunweb for the next three years.